(Jeff Chiu | The Associated Press) In this June 7, 2016 file photo, voters cast ballots in voting booths at City Hall in San Francisco. 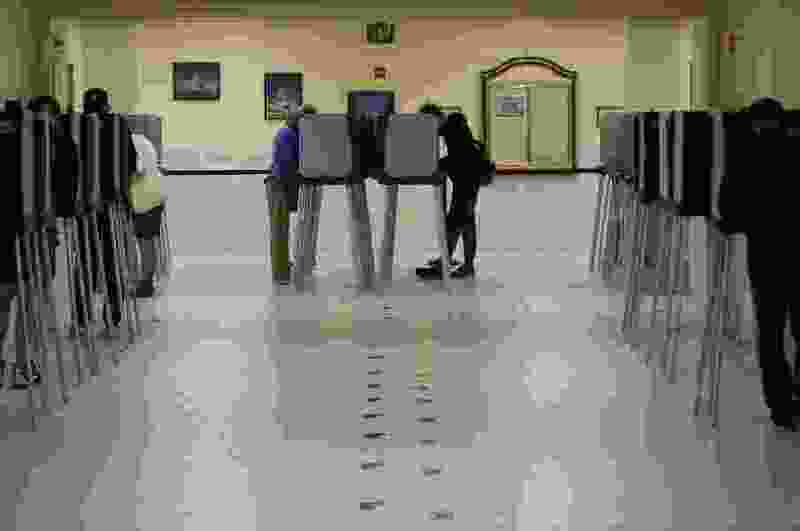 San Francisco will become the first city in California and one of only a handful nationwide to allow noncitizens to vote in a local election in November. They’re only allowed to vote in the school board race. Recently I have been challenged as to why I would want young people to vote when a lot of them are uninformed. Yet I would take umpteen uninformed people voting, chasing the dream of electing someone who will actually fulfill the oath and provide oversight over the corrupt administration that occupies the White House. I believe young voters will aim for the mountaintop and not the horizon and help drain the swamp!